Mission Statement: To further study the Mahomet aquifer system, the river basins and surface waters located in the 15 county regional water supply planning area and to develop and recommend options for the planning and management of these valuable public resources. 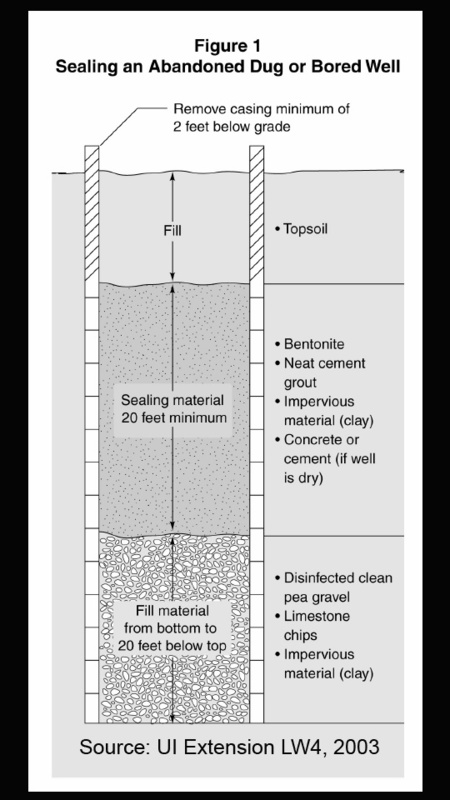 Unused or abandoned wells can be a conduit for surface contaminants to travel from the ground to the aquifer. Sealing these abandoned wells will reduce this risk. See this UI Extension Land & Water Note for more info. IDPH fact sheet on abandoned wells. Fix a Leak week project (Mar 16-22): Do you have a runny toilet? What can I do? Learn about the scope of the problem and how to detect and fix the most common, household water waster. Where can I get a leak detection kit? This spotlight shines on a water quality issue-- proper disposal of unwanted medicines. What can you do? To prevent water contamination, do NOT flush unwanted medications down the toilet. Learn better options at the UI Extension/ Illinois-Indiana Sea Grant web site, which includes local disposal sites. In its 2008 report, RWSPC noted that peak water use for public water supplies is almost double during the summer. People use this water to water lawns and gardens, wash cars and cool-off. This higher demand affects how water treatment plants are designed. What can you do? Eliminate waste in your irrigation system. Water at dawn or dusk. Avoid the middle of the day when evaporation is highest. Maintain your system-- fix broken heads and adjust spray off of roads anf sidewalks.